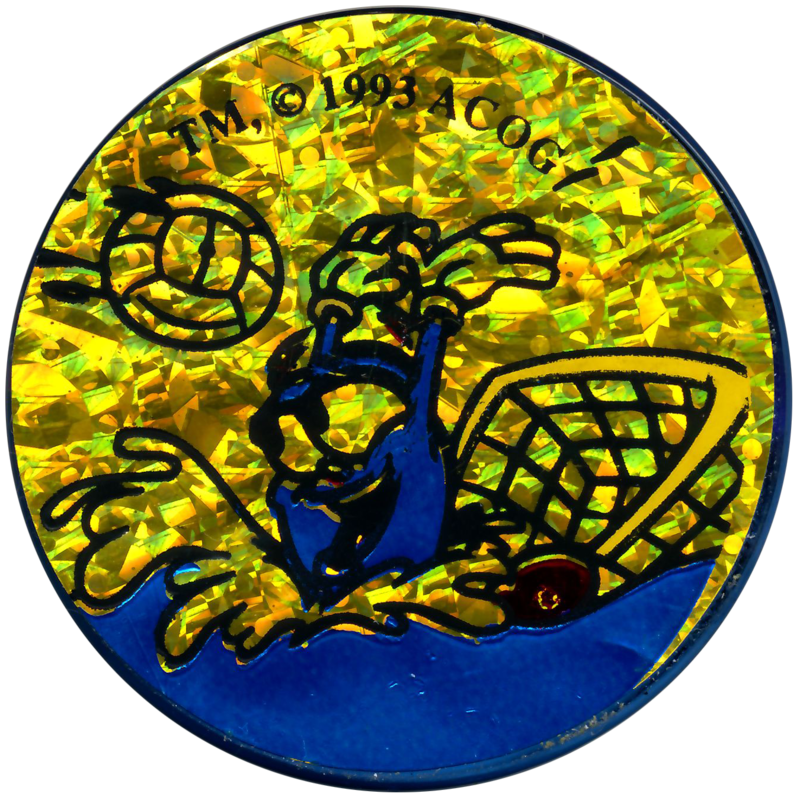 Info:These Slammers accompanied the set of Olympic Games Atlanta 1996 Fun Caps produced by Collect-A-Card. 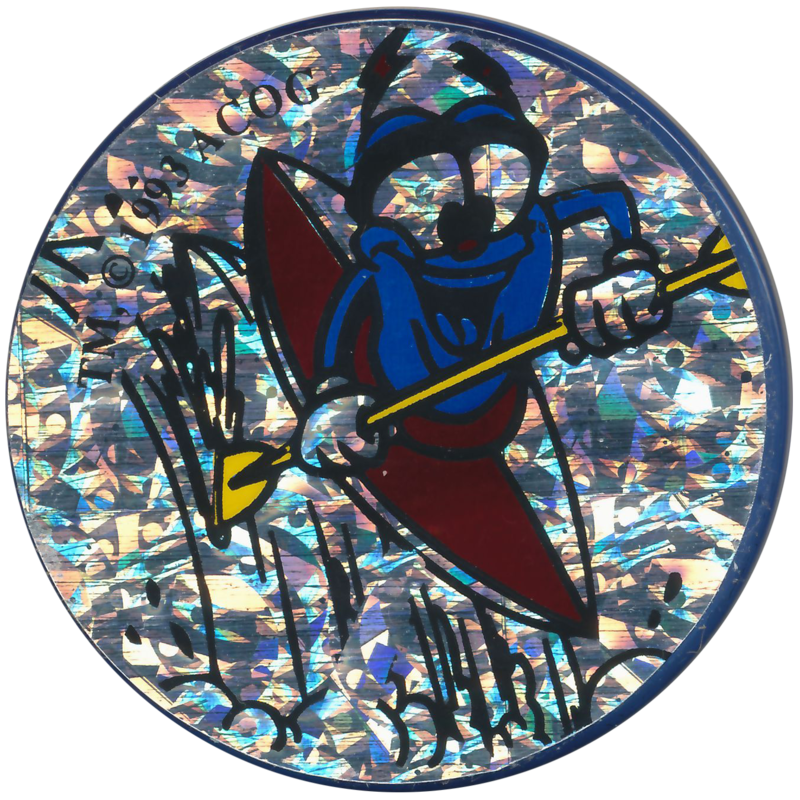 They are made from translucent blue plastic, with a holographic foil sticker on one side. 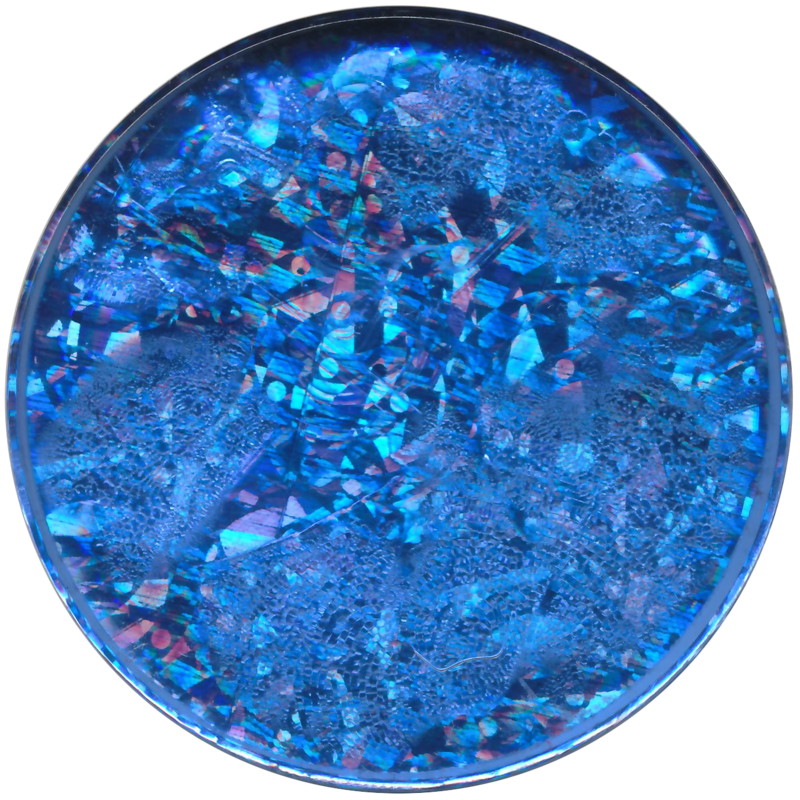 Each is 42mm in diameter and has a thickness of 6mm. 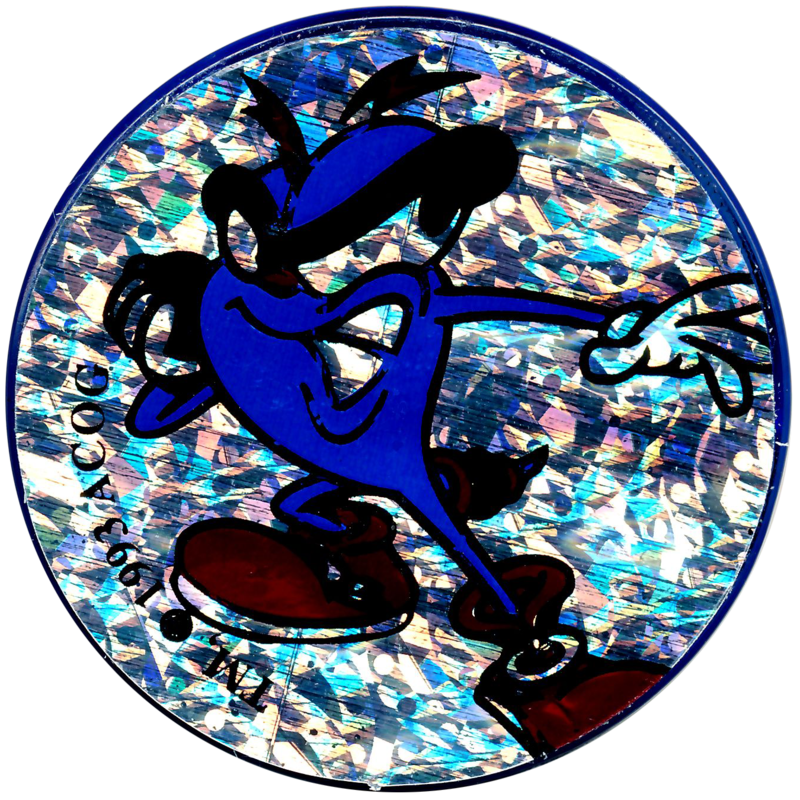 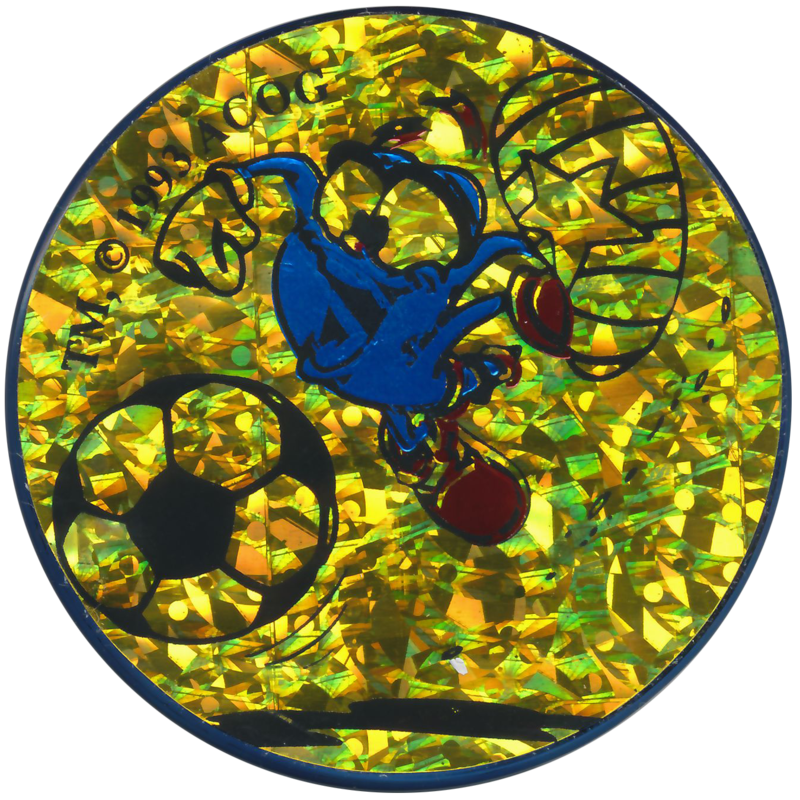 On five of the slammers the sticker is printed an image of Izzy, the mascot of the 1996 Games, partaking in an Olympic Sport. 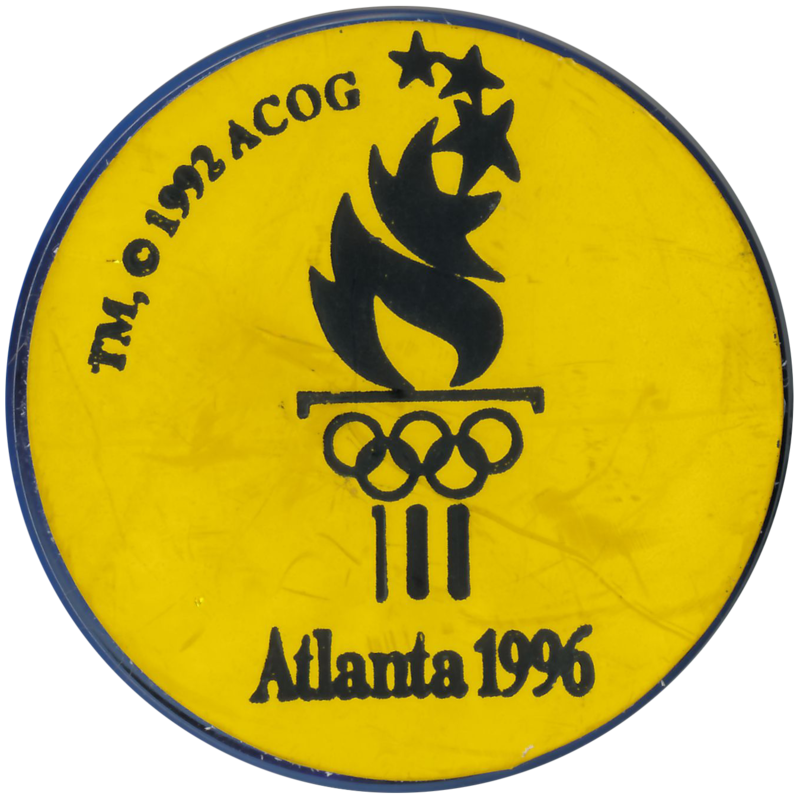 The sixth slammer features a non-holographic sticker with an image of the Atlanta 1996 Olympic Torch logo. 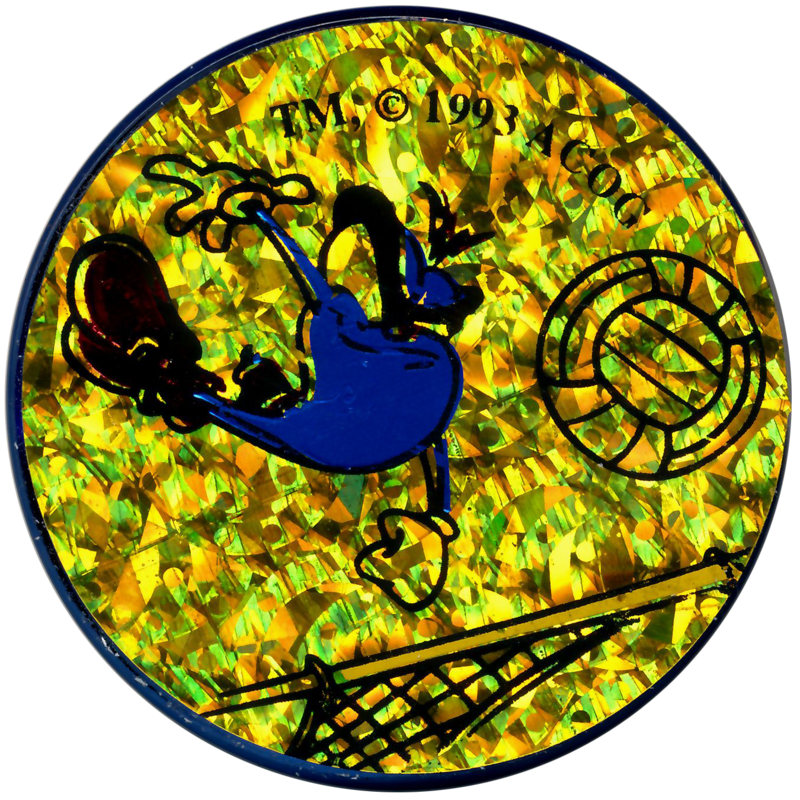 Thanks to Dave P. for the images and information.